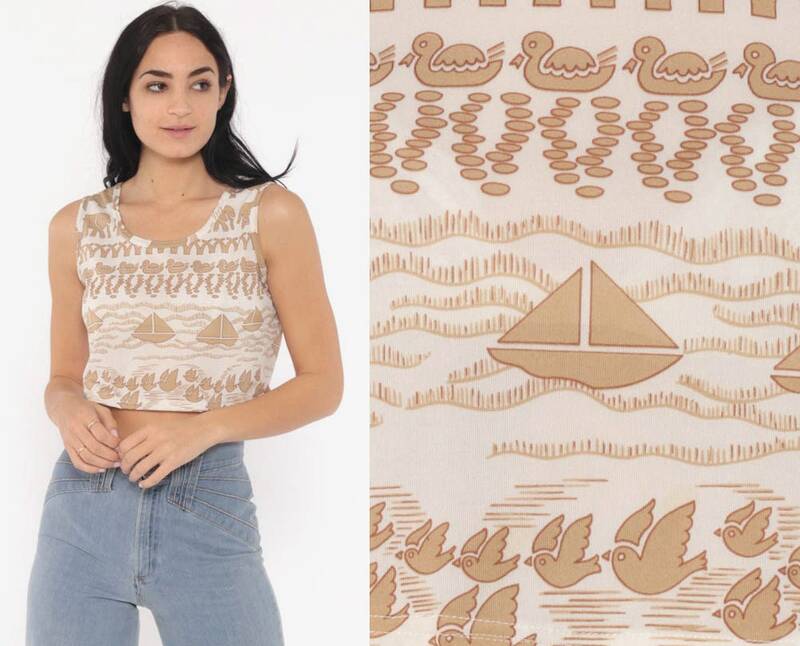 Vintage 70s tank top with a bird, sailboat, duck and elephant print. 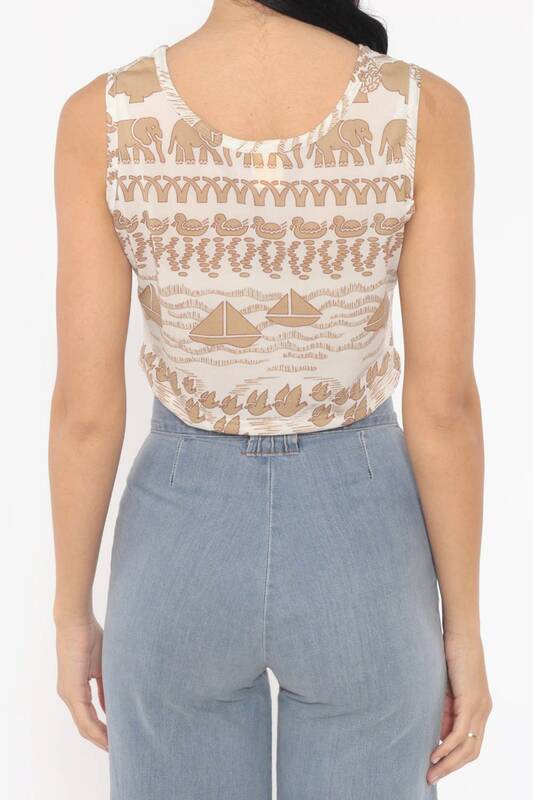 Sleeveless with a cropped hem. Condition: Very good vintage. Has a couple faint spots on the front waist. Material: Feels like nylon or polyester. Has a little stretch.